It’s common knowledge that our bodies need a little movement to stay in proper shape. 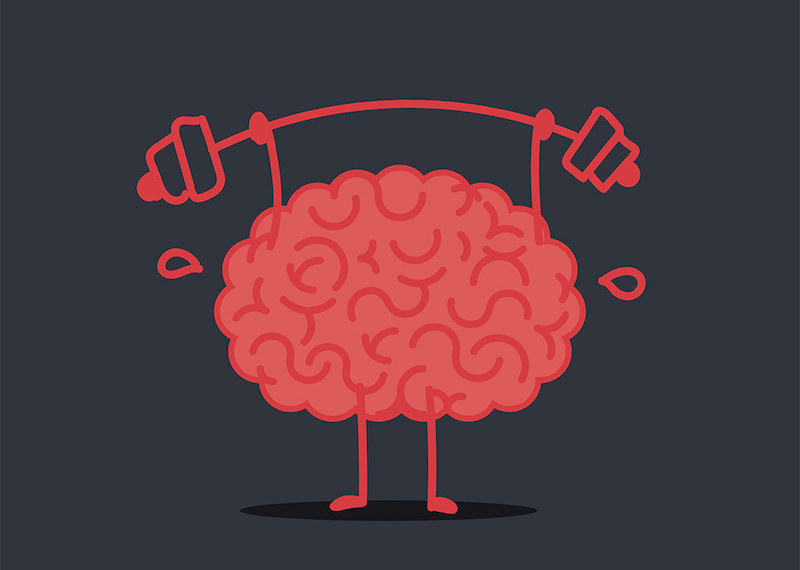 We often think of exercise as something for our body alone, but we leave out our most important muscle all too often – the brain! Much like exercise, our brains become accustomed to performing the tasks we repeat over and over. If you’re working a strength routine in the gym, you’re likely switching it up every so often to keep your body challenged. Adding weight and working on different muscle groups is necessary to see progress. Turns out, the same concept is true of the brain. Our daily lives are often more similar to one another than not, so our brains get to going through the motions without missing a beat. While this is a huge advantage to us living efficiently, it’s important that we throw in a little something that gets us thinking sometimes. Here are five simple ways you can exercise your noggin. You might already practice a little aromatherapy. This is most commonly done with essential oils and a diffuser, making it quite simple. You set it and forget it as the room fills up with scents familiar and old. You may have heard that scent is one of the strongest connectors to specific memories. You’ve likely had the feeling of being overcome with nostalgia after catching a whiff of a scent you haven’t experienced for awhile. So, let’s think about that in the present rather than the past; how can you use scents to form new connections? The brain is a tough beast to tame, especially when we take on something brand new like studying for a degree or learning a new language. Linking new scents to new activities forms new neural pathways in the brain, making it easier for us to retain information and improve memory overall. When it comes down to it, we can attribute keeping our minds sharp by not doing the same thing over and over. The reality of that notion is that we have to try pretty hard to make this happen. After all, we tend to thrive on structure, habit, and… doing the same thing over and over. If we didn’t have the luxury of getting through the average day with our eyes closed, life would be inexplicably more difficult; having these habits is not a bad thing! but life isn’t going to challenge our routine – we have to! Think about commuting. We’re inclined to take the same route every day. At some point, you are purely running on autopilot. Turn that off! Taking new roads to the same place forces the brain to form new neural pathways and keeps the gears turning. Elaborating on the concept of forcing our brains to create new “sparks,” so to speak, closing your eyes can be one of the simplest habits to pick up in order to form new connections. While we do not recommend closing your eyes while driving that new route to work, most other daily routines can benefit from a little desensitization. Think of activities like showering where you don’t quite rely much on vision to get you through. While using all senses can be beneficial for the brain, closing your eyes forces your mind into working a little harder in conjunction with the rest of your senses to get the task done – even if that task is as mundane as washing your hair. Using your hands is one of the best ways to tap into our brainpower. Beyond just working the brain and giving it unique stimulation, crafting can ease depressive symptoms and reduce stress. Think along the lines of activities such as knitting, woodworking or crafting. Maybe you don’t quite pride yourself on your creative mind, but that’s only because you haven’t uncovered it yet! Nobody becomes a pro overnight. First, the challenge of learning something new is incredibly important for cognitive processes and neural pathway formation. We have a lot of thoughts. Tens of thousands of ideas, opinions and words flow through our brains daily. That’s a lot to take in. Finding some time to cultivate some inner-quietness and let your thoughts come and go as they please can literally change the brain. Oftentimes, we don’t realize the thoughts we allow to manifest. We think about things both good and bad, but we tend to latch on to negative ideas and allow them to create a trickle-down effect of more negative ideas. Thus, we become stressed and uneasy in our minds. Check out how meditation has the power to transform our brain and bodies.